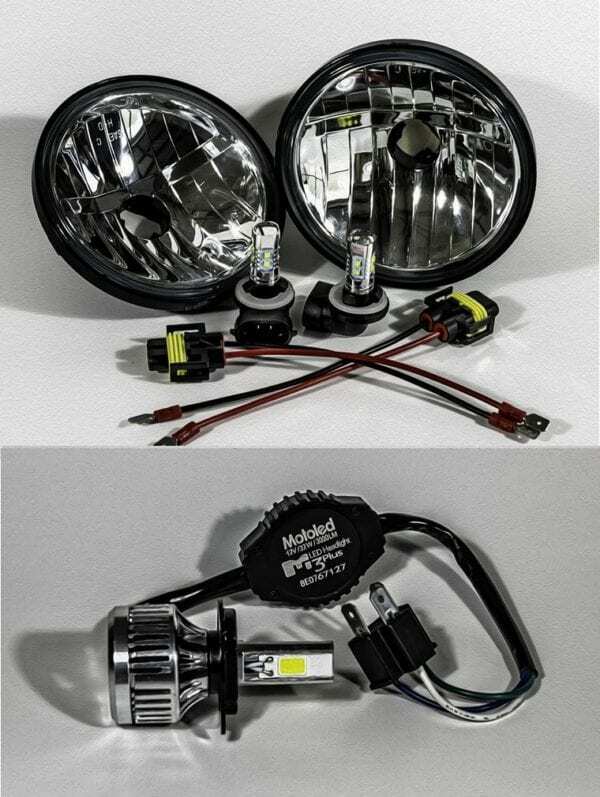 Many Hundreds less than GenuineDaymaker, and far, far brighter than the Daymaker knockoffs. 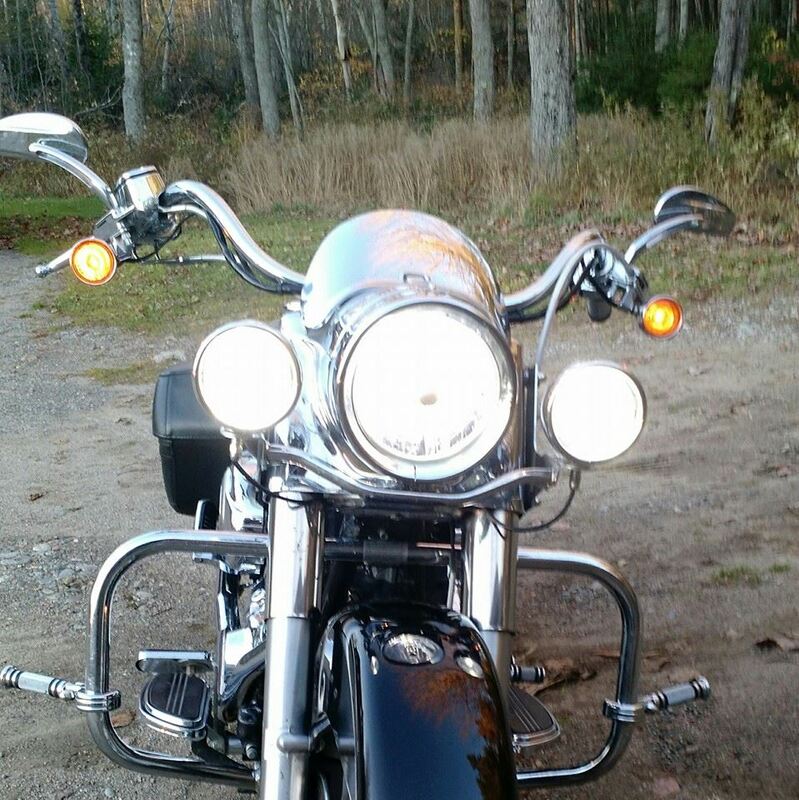 Keep your classic Harley Davidson looking classic and original. 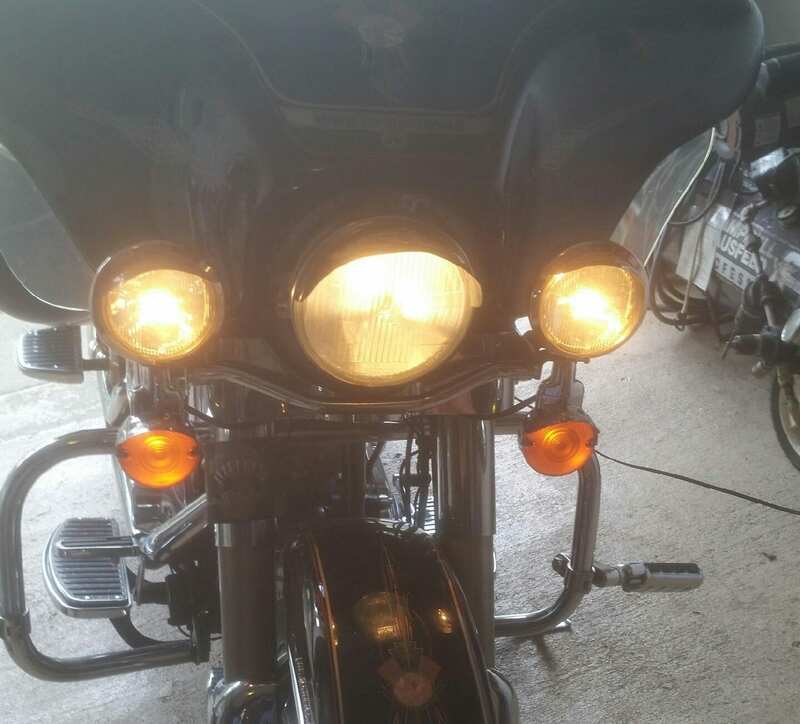 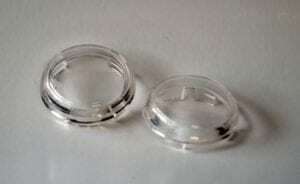 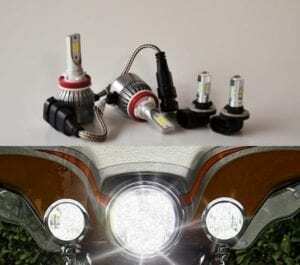 Our Harley conversion kit fits all Harley Davidson FL series with a single headlight H4 Lens but the older technology of ‘sealed beam’ style passing/side lights. 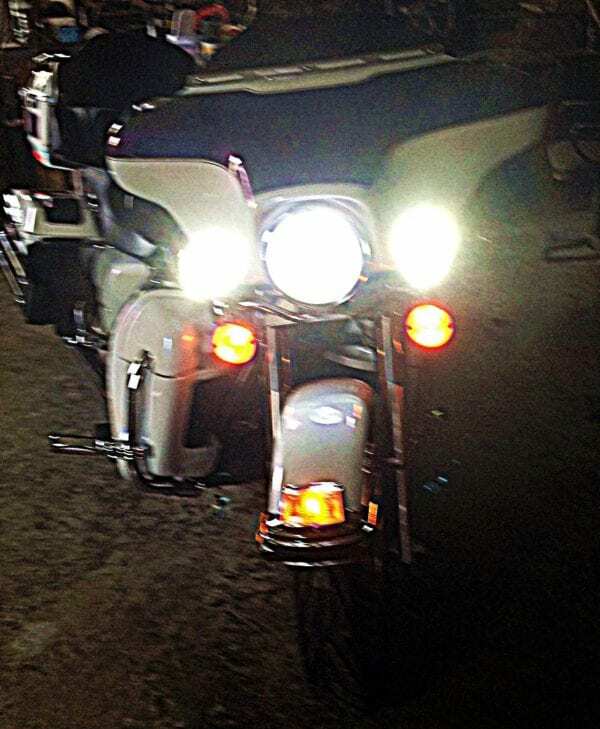 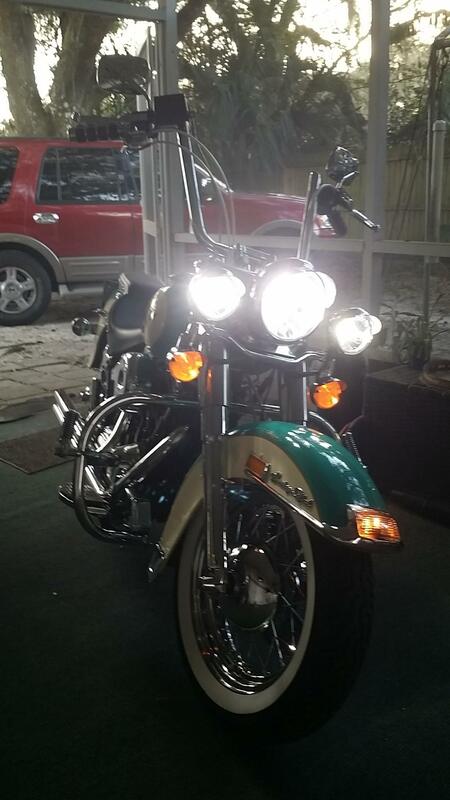 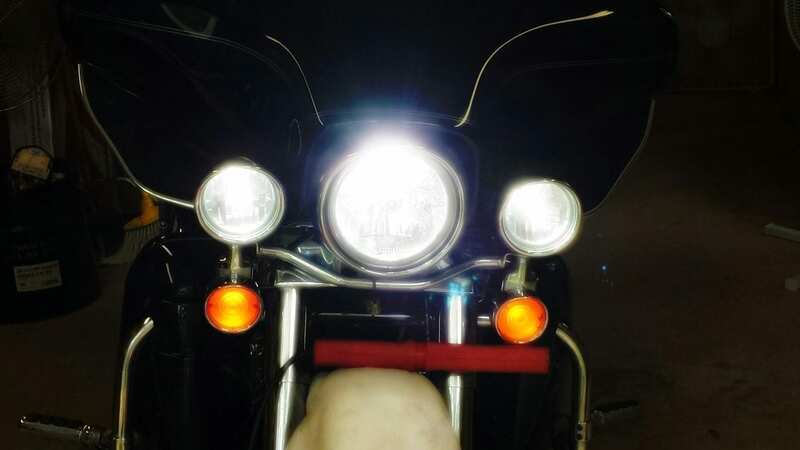 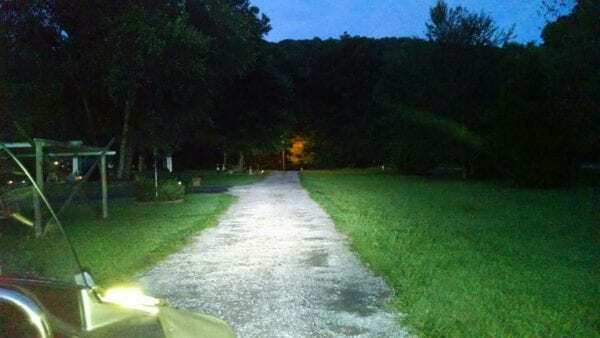 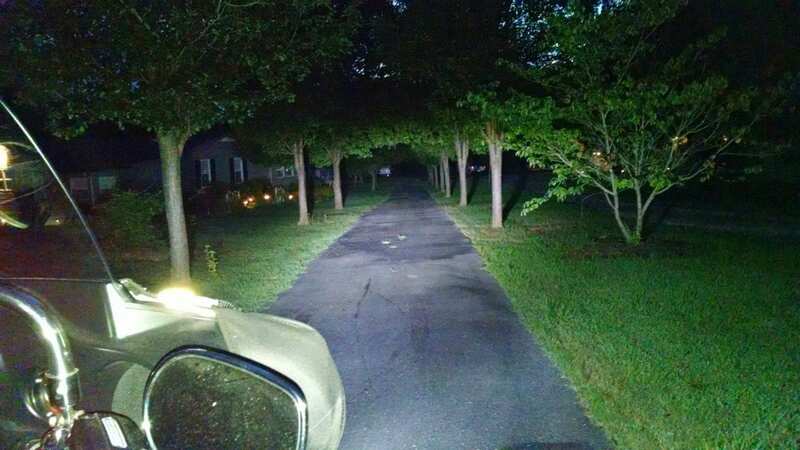 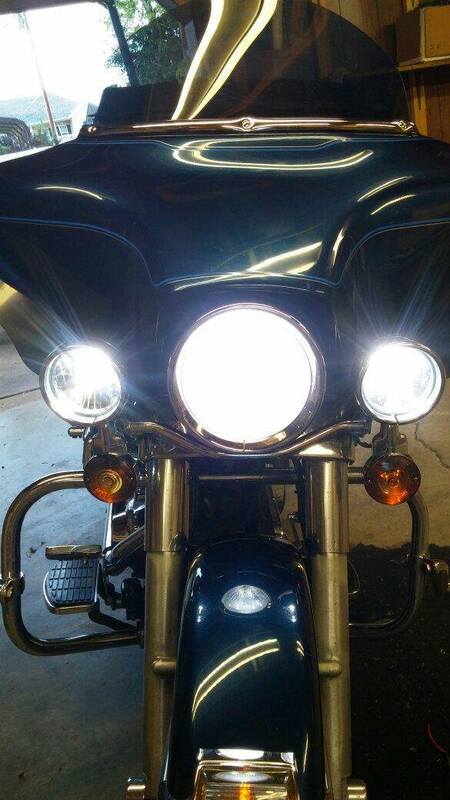 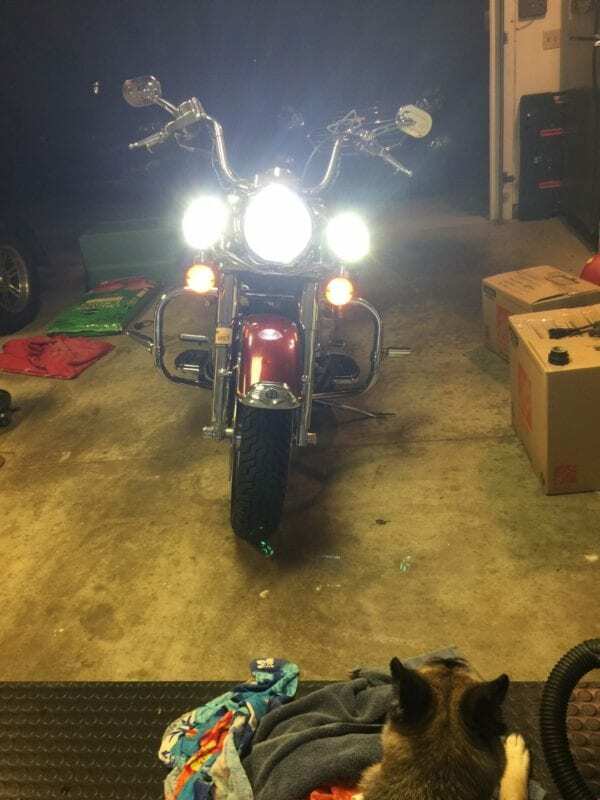 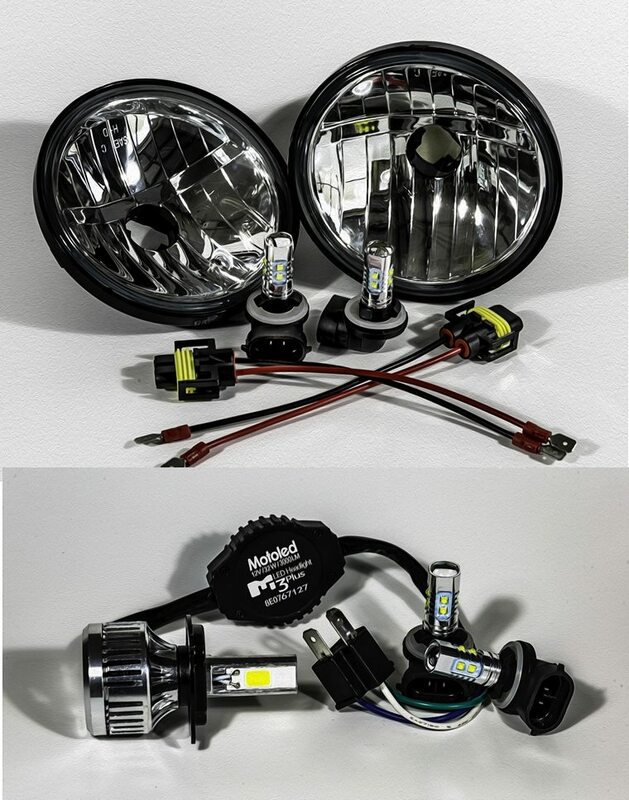 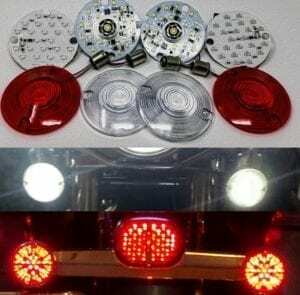 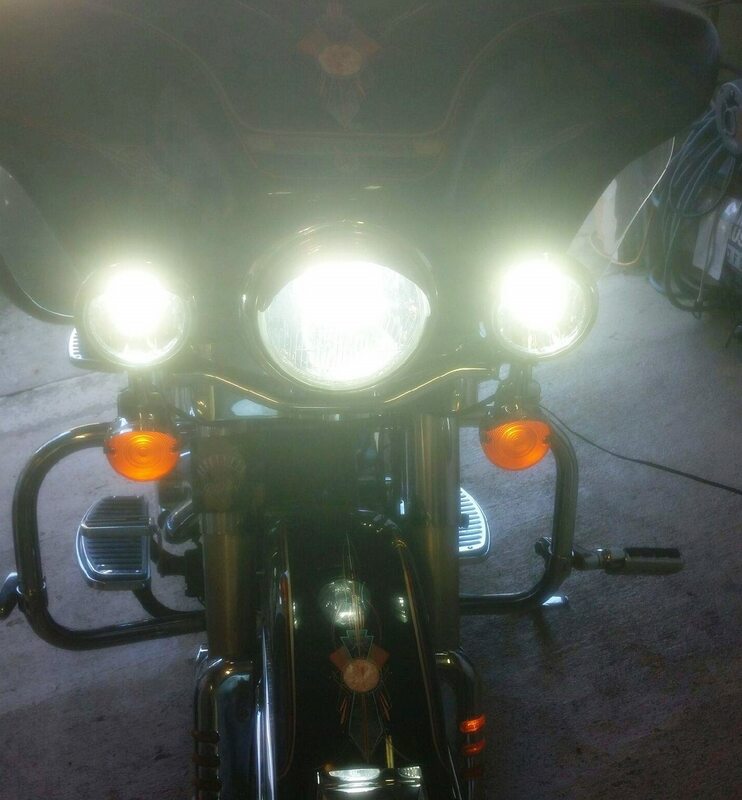 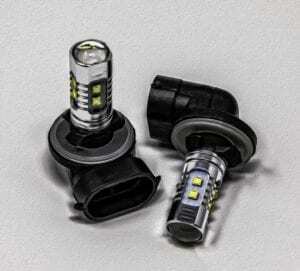 The kit is 100% plug & play, include original factory Harley Davidson OEm’reconditioned passing Lenses, a pair of CREE 50W LEd’s with conversion plugs and the center main headlight LED to make your conversion to LED fast and easy. 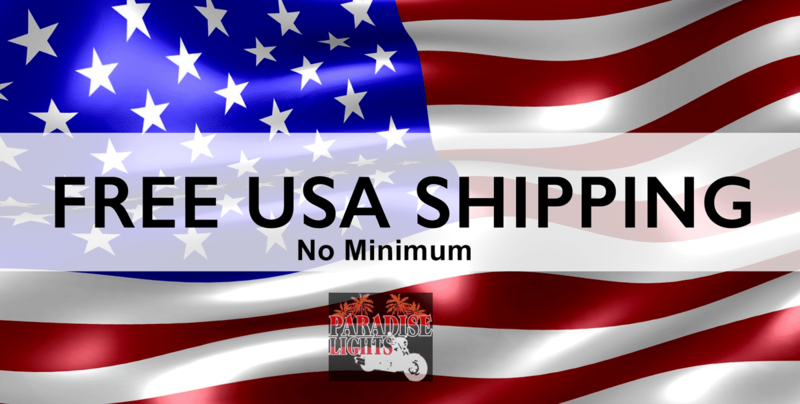 Full instructions with photos included.